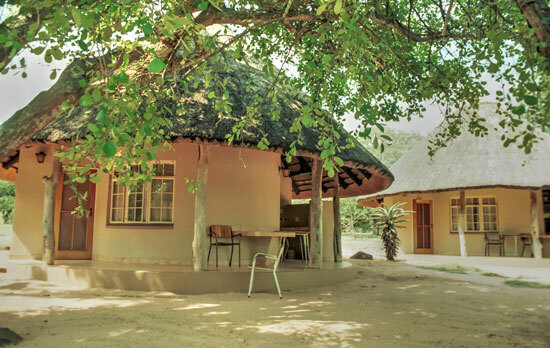 Pretoriuskop Rest Camp is situated in the south-western part of the Kruger National Park only 9 km from Numbi Gate. 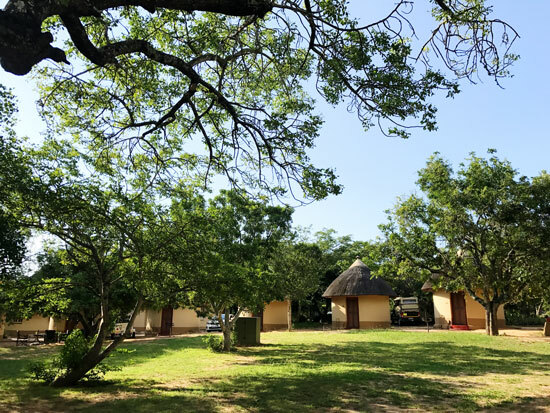 Pretoriuskop camp lies in a hilly region with many interesting, picturesque rocky outcrops and granite hills, the first camp to be established in the Kruger Park. 16 bed P Joubert Guest House. Four identical sleeping units. Each unit has an air-conditioned bedroom with two single beds, and 2 bench beds in lounge, a bathroom (bath, shower, toilet and basin) and a lounge. The central recreation area consists of a lounge/dining room with an open veranda and patio and a lookout above the patio. Kitchen with electric stove (with oven), refrigerator, sink, cooking utensils, crockery and cutlery. Toilet and basin. The lounge dining room has ceiling fans. Barbecue facilities. 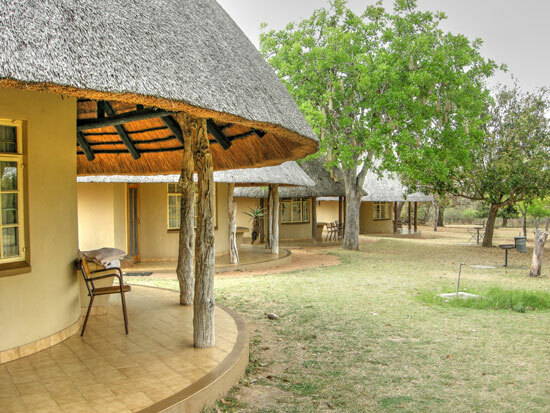 The 9 bed Doherty Bryant Guest House has three separate air-conditioned bedrooms, each with a bathroom en suite (bath, toilet and basin) as well as an open veranda with a small refrigerator. Each bedroom has one double bed and one single bed. The central dining room and kitchen are on the open veranda. The kitchen is equipped with an electric stove (with oven), refrigerator, sink, cooking utensils, crockery and cutlery. The whole complex is surrounded by a reed boma for privacy. There is a central barbecue area and an outdoor shower. 6 bed Family cottage. Three air-conditioned bedrooms one with a double bed and the other two each with twin beds. Kithen and bathroom one with bath and shower, other shower only. 2 & 3 bed air-conditioned Bungalows with en suite facilities. Some with double bed. 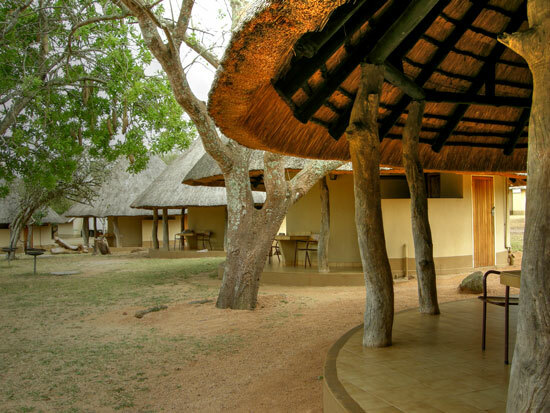 Bush braai or barbecue, Bush breakfast, Camp Walk also known as the Sable Trail. Guided early morning and afternoon Bush Walks; guided morning and evening drives, Wildlife Films. Cafeteria, Communal Kitchens, Emergency Road Service, Laundromat, Petrol Station, Picnic Facilities, Post Box, Public telephones, Restaurant, Shop, Swimming Pool. Rare species such as sable antelope and rhino are fairly often sighted in this area, as well as the more prolific species such as impala, zebra, giraffe and wildebeest. 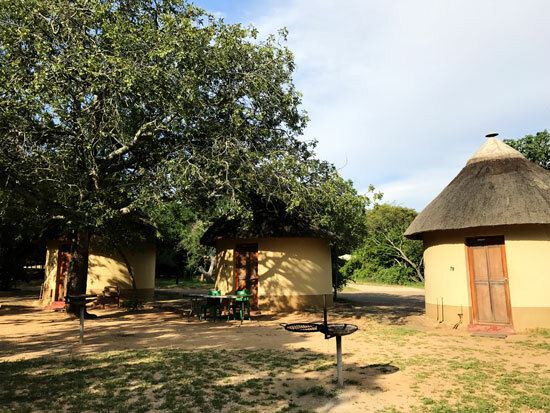 The road to Skukuza Camp in the Kruger Park, is well worth travelling, and even better are the views from Hippo Pool and Doispane Road, from which you can look down on the Sabie River and its riverine vegetation. South-eastwards runs the original transport riders' route, with several historic places, such as the Voortrekker Road, the birthplace of Jock of the Bushveld, and the Albasini Ruins, (an early trading store) all within a short drive from Pretoriuskop camp.